Today’s lipstick choice is e.l.f. 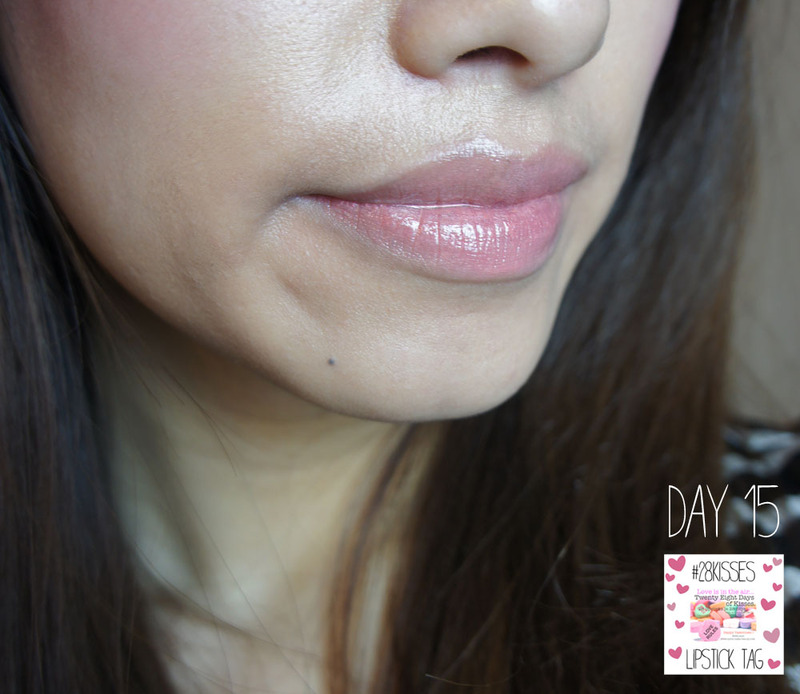 Super Glossy Lip Shine! 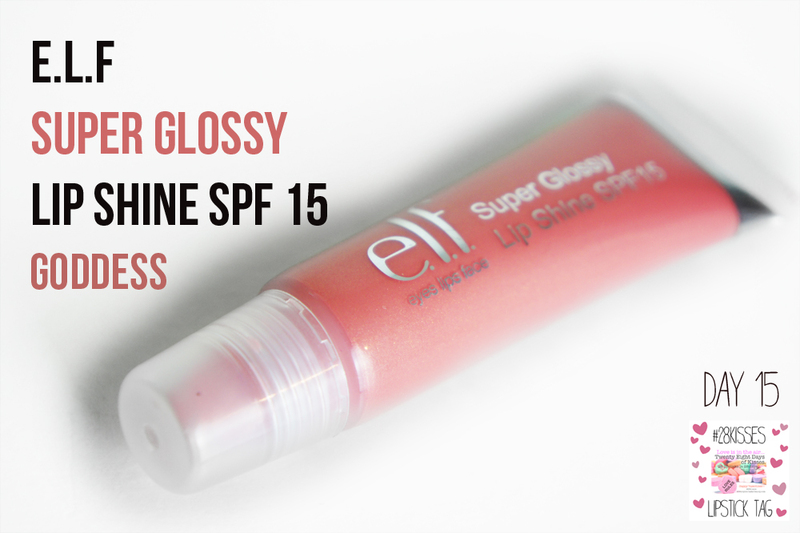 The great thing about this Gloss is the SPF 15 it contains to help protect lips from sun damage, making this gloss the perfect summer lipgloss! The colour pay off of these glosses are great and they are, as it suggests, Super Glossy. However I personally find this gloss a little too sticky and that there are many more glosses in the range that out shines this one! Such as the Studio Glossy Gloss or Minty Lip glosses. I have this gloss in Goddess which is a sheer pink with a very subtle, golden, iridescent shimmer. 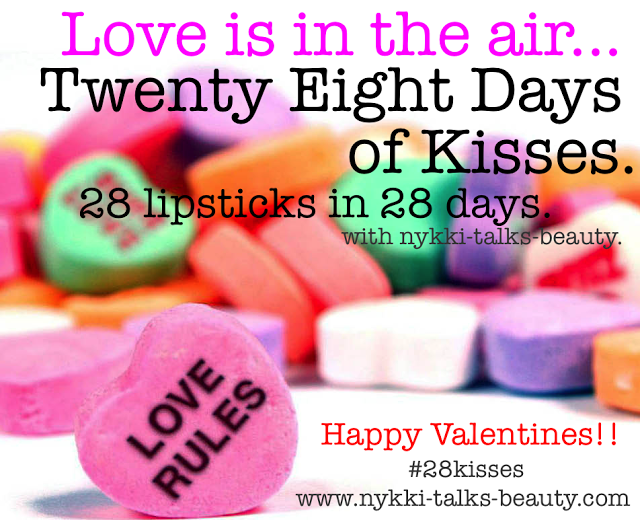 Tags: #28KISSES, elf cosmetics, Gloss, lipstick, SUPER GLOSSY LIPSHINE. Bookmark the permalink. 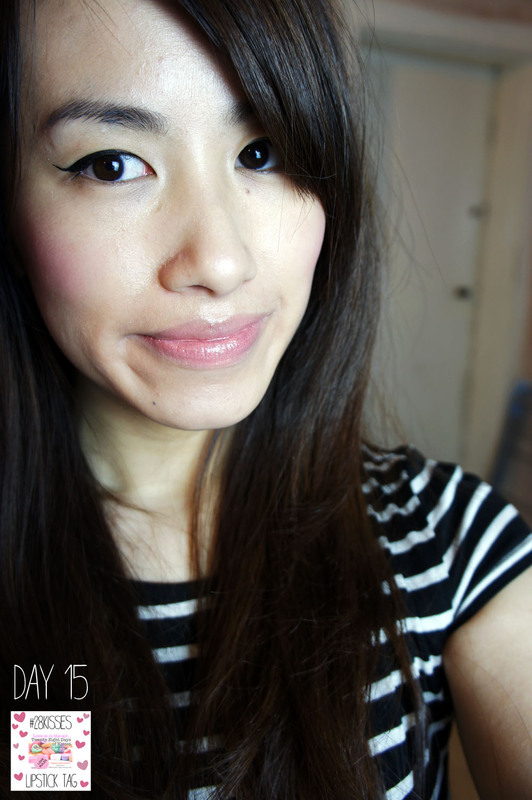 Previous post ← BATH TIME WITH SOAP & GLORY!